It’s hard to believe that 2015 is almost over. I’m scratching my head about a few things going into 2016 though. It seems like just a week ago I was jamming at the Ariana Grande concert and riding roller coasters at Cedar Point. But why not leave 2015 with a few laughs and a few hmm moments? 1. Will anyone ever succeed in breaking the Internet? Kim Kardashian tried it, Kylie Jenner tried and Paris Hilton tried it but to no avail they all failed. While we’re on the subject will popular media’s fascination with the Kardashian clan finally end? Will we finally reach a point where oversharing has boiled over and we give them a “no one cares,” Kanye shrug? 2. Since The Hunger Games has concluded what’s the next YA series that we will obsess about? First there was Twilight, than we moved on from sparkling vampires to The Hunger Games and now it feels like we’re at an end of an era. Sure we have a few Divergent movies coming out but is it the same? 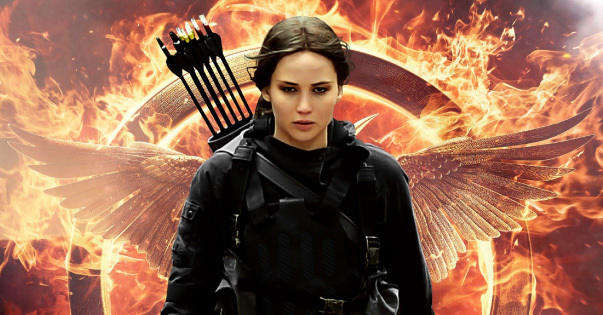 We have no Katniss Everdeen? We get to leave her in 2015. 3. 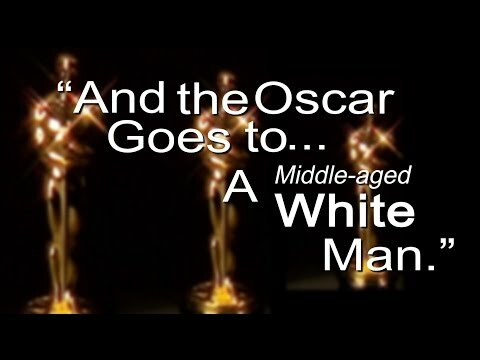 Will the Oscar Awards get with the times and recognize diversity exists? Last year’s Oscar Awards sparked the hashtag #oscarssowhite because of their lack of diversity. With so many popular diverse casts on TV and in movies today, will anyone that has even a dash of color get some notoriety or even a mention? 4. Will Rihanna ever drop Anti? We’re getting trailers and stuff from Rihanna and we even got a title from her so we’re getting closer to Rihanna’s newest release. 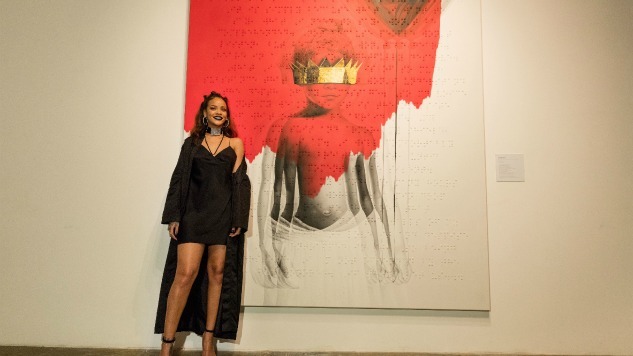 It’s been forever and a day since her last album and Rihanna Navy is excited for anything!! 5. Where is that Frank Ocean album? Frank Ocean announced a new album release and that date passed and he disappeared. Is Frank okay? Will we finally see that album in 2016? Even Adele wants him to drop it. 6. Will Hollywood run out of TV shows and movies to remake? 2015 saw a lot of popular reboots and sequels that we don’t think had to happen but did. Full House, Hereos Reborn, Jurassic Park, Ghost Busters are all happening right now! In 2016 will we reach our nostalgia peak? 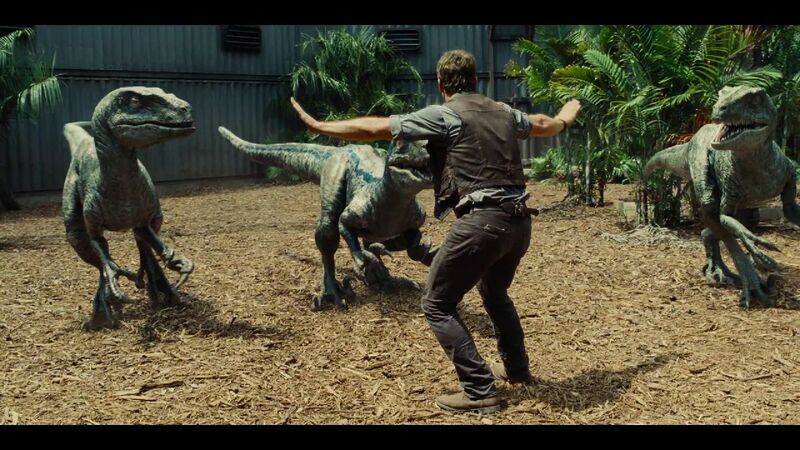 We love Chris Pratt but was a Jurassic World really necessary? 7. 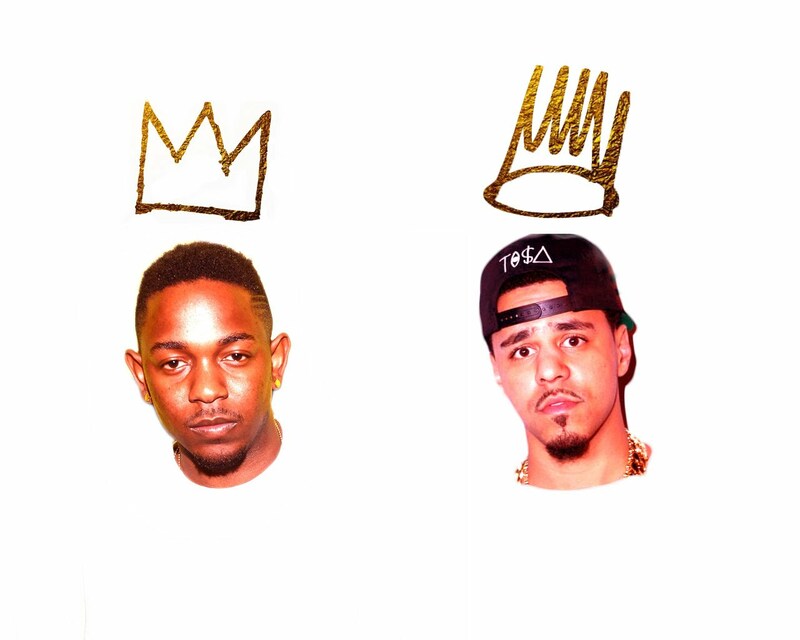 Are J Cole and Kendrick really putting out an album together? Talk about breaking the Billboard Charts because that’s what’s going to happen if the rumors are true and they’re dropping a project together. These two are rap royalty and we would all lose our minds. Neither have addressed the rumors but we kind of need this to happen now. This would be the album of all rap albums! 8. Are Selena and Justin going to get back together? We were rooting for Jelena and then everything fell a part which created some awesome music but we kind of want them to happen again. Let’s face it Justin wants Selena back and Selena doesn’t want to be single anymore they should just work out their differences. I’m rooting for them in 2016. I want my ship to happen again 🙂 . 9. Will Fetty Wap find his Trap Queen? Everyone wanted to be Fetty Wap’s “Trap Queen” it even got to the point that people started creating parodies. 11. Is Iggy Azalea finally over? Iggy cancelled her tour over issues. We’re not sure what those issues are but peeps were guessing low ticket sales. She also had that performance where she rapped a bunch of gibberish happened. Her fame came with everyone looking into her credentials and some artists starting distancing themselves from her. Will she make a solid comeback in 2016 or is Iggy Azalea’s reign over? 12. Are we really going to forget that Netflix put an original movie in theaters? 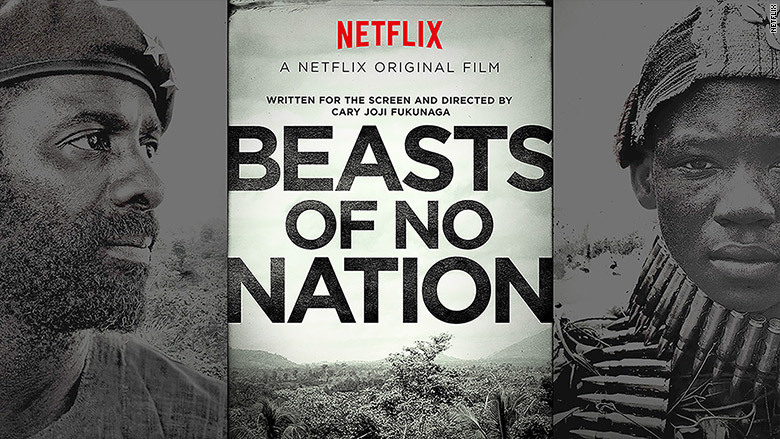 Beasts of No Nation is a solid movie and Netflix wanted to be taken series and get in with the big dogs. Awards make them happy and they wanted to be eligible for one and the only thing keeping them from being nominated was that their movie had to be in theaters so they made it happen. It didn’t do well in theaters because everyone watched it on Netflix but that’s not the point. What is Netflix going to surprise us with in 2016? They already have deals with Marvel and Disney. 13. Is Hollywood okay? Why did block Busters take some many L’s in 2015? Pan, Tomorrowland, Pixels, Fantastic Four, Aloha, We Are Friends, Hot Pursuit…they all have things in common. They may have been great movies but no one will ever know being that they were some of the biggest box office flops of the year. What’s going on is Hollywood okay? What’s the last movie you went to actually see this year? Some researchers are saying peeps aren’t going to the movies often anymore because of high quality TV and what not. I beg to differ. Movies are awesome, they just aren’t cheaper than all the channels on my cable box. 14. Will Netflix, HBO Go, Pandora, Sling TV, Hulu… Etc finally get over their licensing hiccups beyond the United States? Apparently if you wanna feed your Game of Thrones fix and you don’t live in the United States of America, you’re gonna have to jump through hoops and do it illegally. You can’t even listen to Pandora without getting a licensing warning. It’s time to get that together I mean it’s almost 2016 and quality content still isn’t accessible everywhere. 15. Have we officially came up with a name for the kids born after millennials? There’s Generation X, Y, an Z. What do we do when we run out of letters? Someone didn’t think that through. Apparently MTV is already dubbing those kids that grew up with iPads and iPhones in their hand The Founders. That’s pretty prestigious sounding. 17. Is the United States of America going to be okay? Can they get their Healthcare and lack of guns laws situation together? 18. Can the media finally forgive Chris Brown? Chris Brown was finally released from probation for his domestic violence actions in 2008 but he’s still paying the consequences for who he was before probation. New Zealand won’t let the star in and even The Daily Show with Trevor Noah cancelled a recent interview with the R&B singer. In 2016 can we finally forgive Chris since the justice system has. He still makes quality music and he’s not the only popular celebrity with a tainted past. 19. Can we trade Raven-Symone for Raven Baxter? 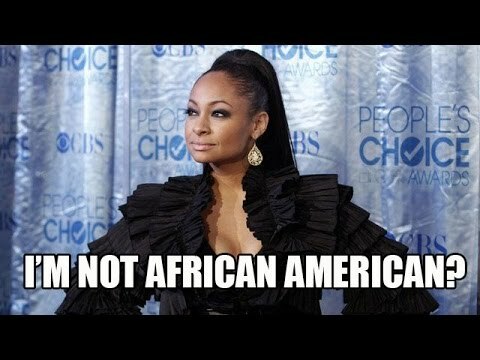 This year Raven Symone said some very questionable things like not associating with people with “hyphens in their name.” She isn’t African American, she’s “from every continent in Africa” and the list goes on. We liked Raven Baxter way more than Raven-Symone. At least Miss Baxter was funny. Even Raven-Symone’s dad had to apologize for her craziness this year. 20. What can’t Drake do? This year Drake dominated. Drake pretty much always dominates rather it’s making money by signing a deal with Apple or he’s dropping a Mixtape with Future. Drake had everyone singing “Hotline Bling.” He had his annual OVO Fest and made it longer this year. He even opened up an OVO flagship store for his apparel in LA. What can’t this guy do? 21. Trump?? Why are people taking him serious. America has a problem and his last name is Trump. He could potentially be the president of a country. Donald Trump has followers and no idea what he’s doing. But okay. 22. Can people finally admit that reverse racism doesn’t exist? Let’s be serious for a second. It’s clear racism exists. Reverse racism is something someone made up because their feelings were hurt. People who deny racism exists are a part of the problem not the solution. Hopefully in 2016 America can have some race talks and the more people talk about racism, the more it helps to get rid of it. 23. 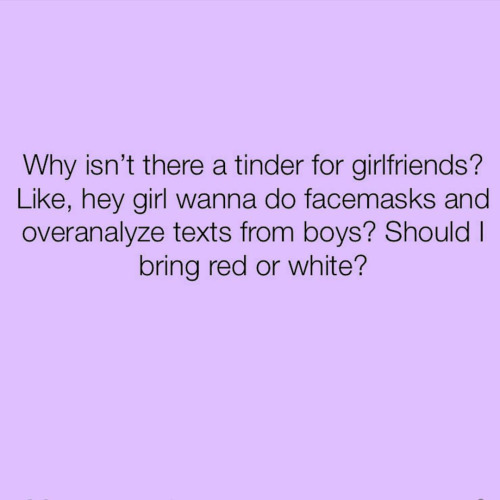 Can we get a Tinder but for making best friends? 24. Did Drake 50 Cent. Meek’s career? Remember way back when rapper JaRule went for 50 Cent and nobody sent for him. It resulted in a few songs murdering JaRule’s career. We haven’t really heard from the guy since. What if Meek is gone in hiding because of what Drake’s three songs did to Meek’s one lonely song that disappeared as quickly as it dropped? Will we here more from Meek next year? Was it his world tour or his girl’s tour? What are some questions you have going into the new year?? Previous Post & Sisters Was Hilarious!